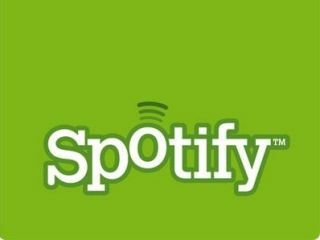 In a week where Spotify has seen a number of independent labels take their content from the music-streaming service, it has now announced that it is up to 2.5 million paying subscribers. Considering Spotify only got to its one millionth paid subscriber back in March, the growth of the service has been phenomenal. One of the major reasons for this is its link-up with Facebook – a partnership which had been rumoured for some time but finally came to fruition back in September. Spotify's blog post announcing the impressive number was tied into a thank you (it's Thanksgiving soon, geddit?) to its US users for embracing the service. "This week is Thanksgiving in the US. And we've got our own reasons to give thanks too," said the blog. "Fanfare! Drum roll! Yes, we're excited to announce that we've now welcomed 2.5 million paying subscribers to the service. "So we'd like to say a big thank you to all our subscribers, new and old. Keep spreading the good news about Spotify! "Of course, we'll continue to focus on providing you with the best music service possible. We've got some exciting developments in the works, which we'll share with you very soon." The exciting development is set to happen 30 November, where Spotify will be announcing a 'new direction' for the company. We are going out on a limb and predicting it is to get into the dog grooming business. You heard it here first.